It all began with a special request from one client who loves to host themed parties. 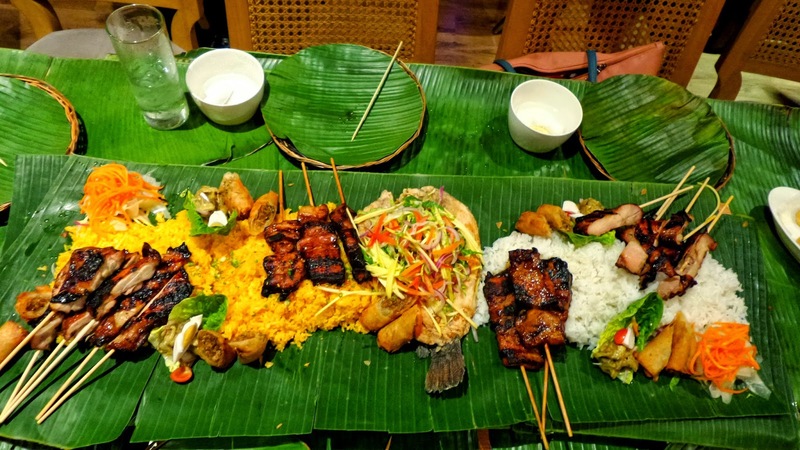 Aracama is known to serve modern take on Filipino cuisine and have been one of the after-work party go-to place, but who knew that a word of mouth from a particular client would have boodle fight requests coming in haywire. Thus, they are officially letting everyone know about it. 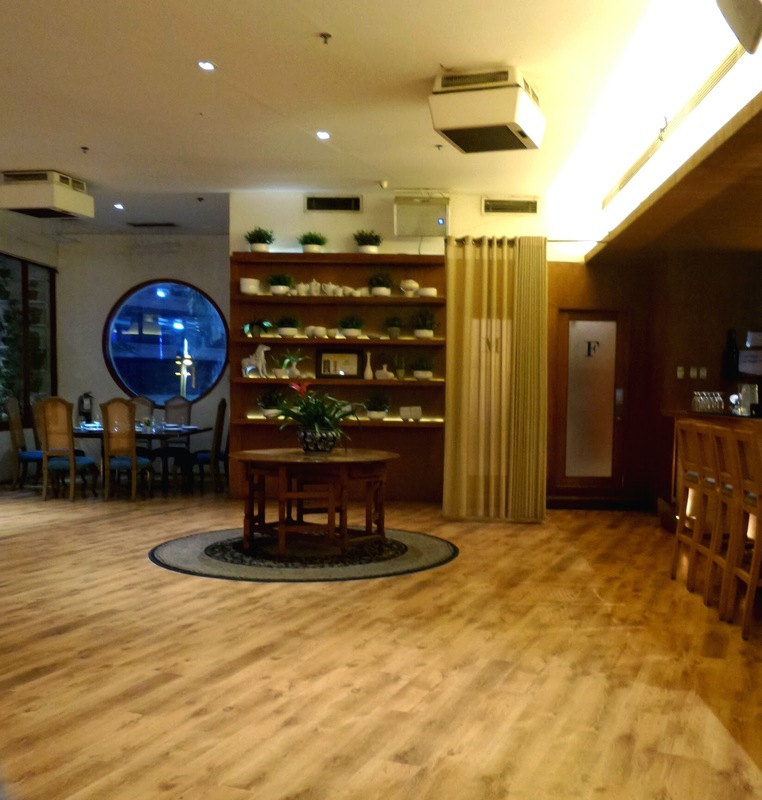 Everyone can now partake in Aracama Filipino Cuisine's festive mood with two different boodle platters. 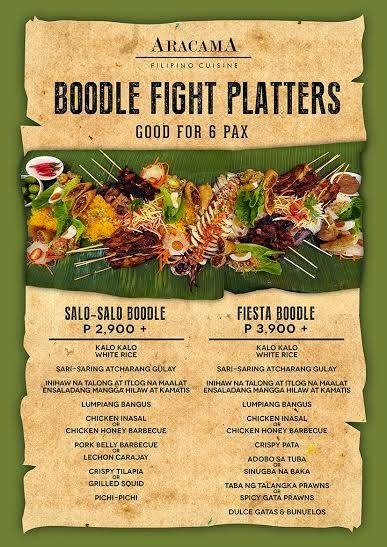 Salo-Salo Boodle and Fiesta Boodle. But before I tell you deets about the boodle fight I had with new found foodies, let me share one of the appetizer they had on their menu. Coming here at the last night of work commencing the long holiday to celebrate the coming of Pope Francis, everyone was expecting a heavy dinner, also need to note how bad the traffic was at any point of Manila, so when this lovely boat-shaped plate came, it was such a delight. I never had fish balls this good! Or should I say this were the most "sosyal" street food I ever had. These home-made fish balls are made from cream dory and are very smooth to the bite and easy to chew. 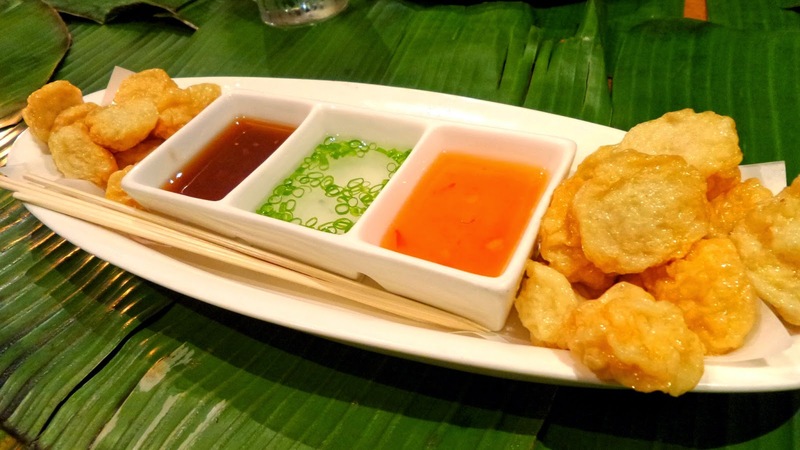 They are like savory pillows that comes with three dipping sauces. You can either drown it in original fish ball sauce which is a mix of tangy and sweetness, red chili sauce or garlicky vinegar. Also. 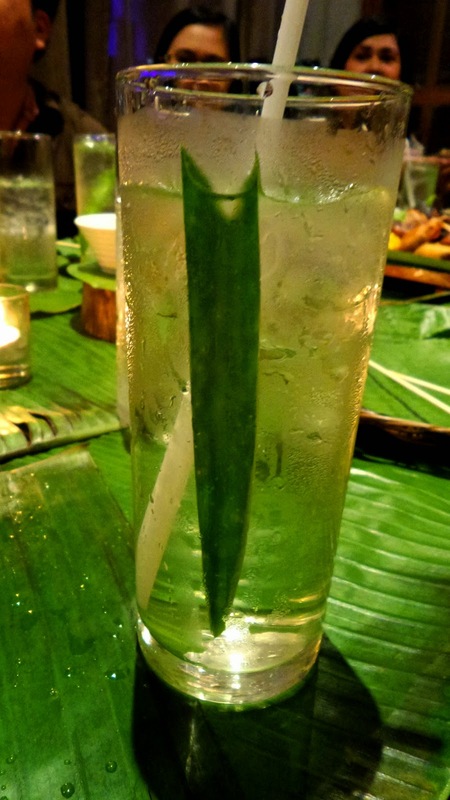 I had to commend them for serving this to us which I thought was just a cold glass of water with pandan leaf. Well, it's actually Pandan Water, an infusion of pandan, sweetened with sugar. So far, I'm loving everything. 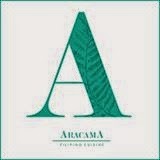 Honestly, this was my first time to have a real meal here in Aracama. Though it wasn't my first time to be here, since I have attended a couple of parties and blogger events where hors d'oeuvres were only served and cocktails are being given like iced teas. Ooops, you know what having a boodle fight means? Not to be a champion eater, but to eat whatever is served with bear hands. 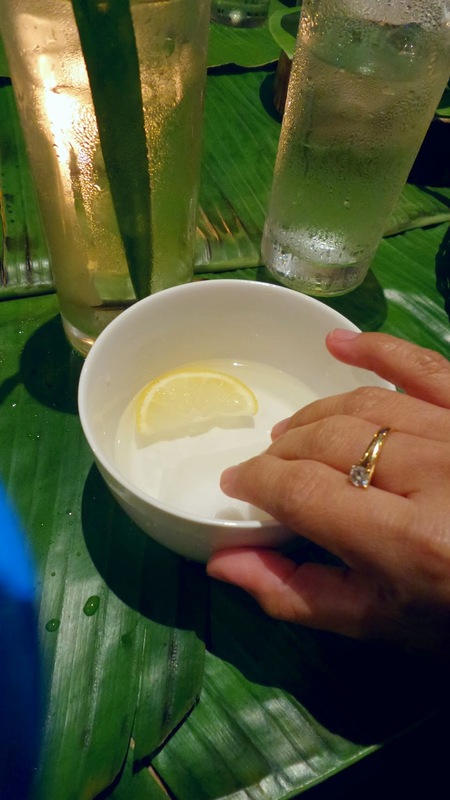 So I had to keep this solitaire ring and clean my hands with these bowl of hot water with soaked tissue and lemon. This foodie meet up was actually made fun, for we have with us someone who never had an experience eating without utensils. Heck, I bet, once you see the spread, you will definitely have your hands ready! Both boodle types have pickled veggies or "atcharang gulay", grilled eggplants and red salted eggs. With the addition of green mango salad and slices of tomatoes scattered around makes the whole platter very invitingly colorful. Lumpiang Bangus, spring rolls filled bangus bits and other stuff were a winner with the group. 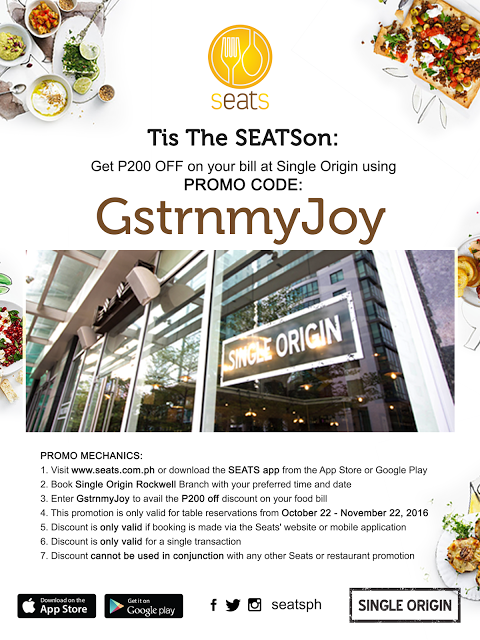 For the mains, here are the choices: Chicken Inasal or Chicken Honey Barbecue, Pork Belly Barbeque or Lechon Carajay, Crispy Tilapia or Grilled Squid. Everything is topped on plain rice and Kalo-Kalo rice, it's a Negrense style fried rice, which is seasoned and fried with annatto oil or atsuete oil. 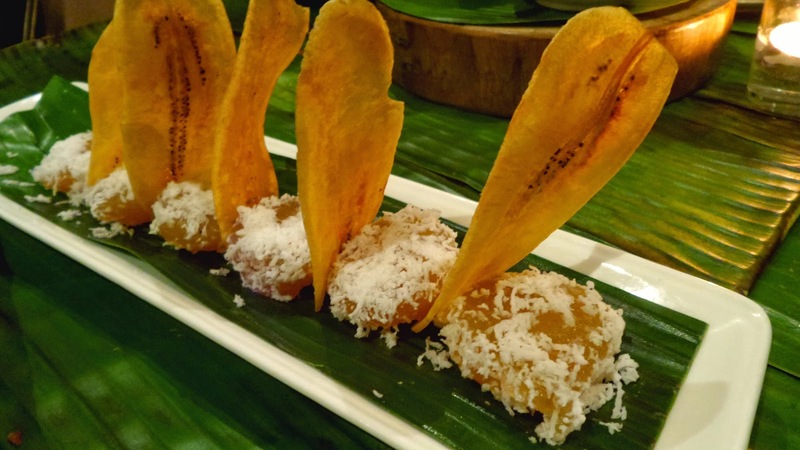 For dessert, we had pichi-pichi with banana chips. 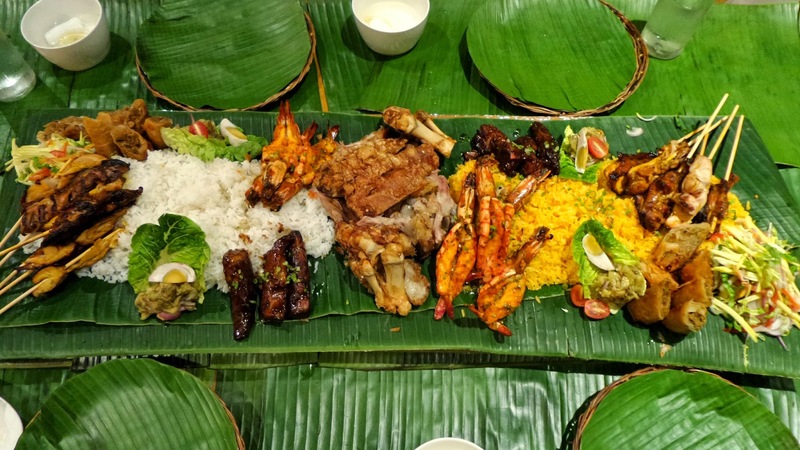 Like the Salo-Salo Boodle, Fiesta also has the Kalo-Kalo and plain rice, the salads and the Lumpiang Bangus. 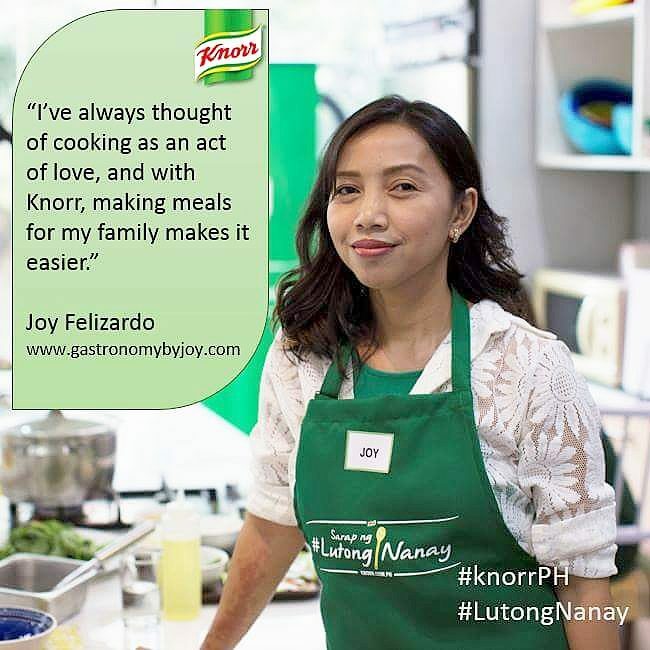 For mains they have, Chicken Inasal or Chicken Honey Barbecue, Crispy Pata, a choice between Adobo sa Tuba and Sinugba na Baka, lastly, the sinful and caloric Taba ng Talangka Prawns or Spicy Gata Prawns. Dessert was a treat and a spectacle among sweet-lovers. The Fiesta Boodle carries the Dulce Gatas and Bunuelos. 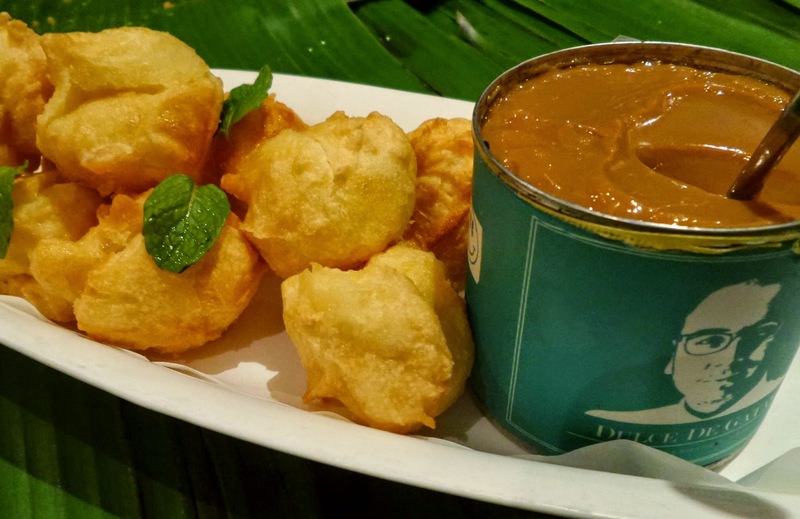 The Bunuelos are comparable to cream puffs, though devoid of the creamy filling but the cooked condensed milk more than make up for it. Here's a great deal, double dippers are more than welcome, without any argue, in this kind of set up! 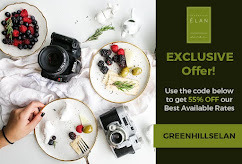 Check out the tin can's lable, nope, that's not a new product, but it's actually a silhouette replica of Chef Fern Aracama, the owner of the resto. 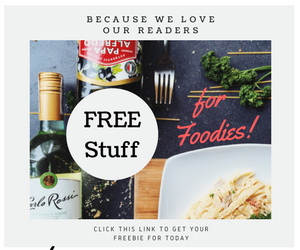 For more recommended listings of their menu, other foodie reviews about the same topic, do visit ZOMATO's website. My kinda platter! Great for our barkada bonding, mommy!